Download not working for you? Access the file here! Here’s another early-bird Valentine’s Day idea and if you’re lucky, free printable. Just kidding, of course there’s a free printable! It starts out as a Valentine’s Day card, but then when you take it home you can make it into a garland, too! You all know how we feel about a garland. HOW TO MAKE THE CARD: All you need to do is print the download onto cardstock (in color) and cut out each babushka. Then take a separate piece of cardstock for the carrying envelope. We fold the bottom third up to create the front lip, then glue/tape/staple the sides to create your open envelope. Then cut out the included “I wish there were six of you” card and glue it onto the front lip. You can either sew over the tops of their heads or we used mini clothespins to attach them to twine. 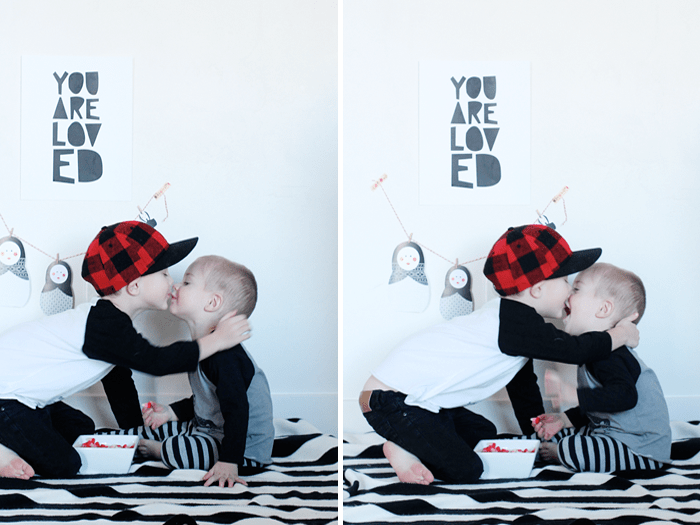 And let’s finish this one of with a little brotherly love. Awww! 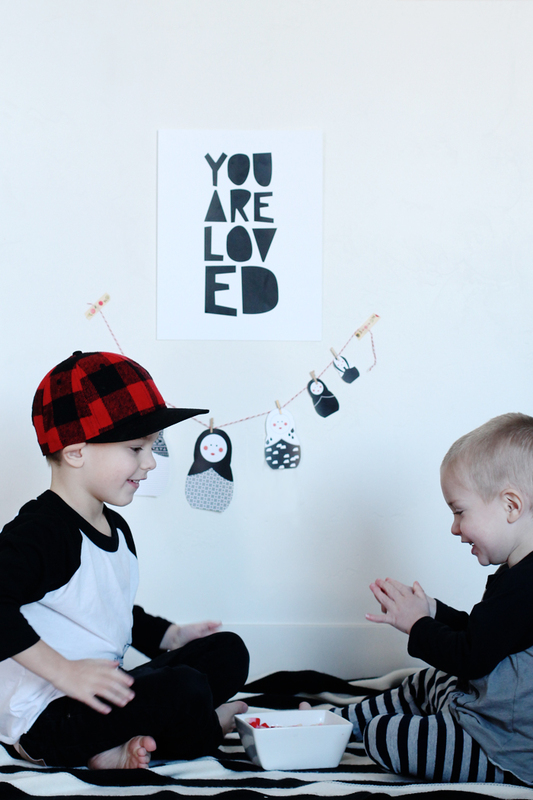 I love this garland/card and these fun kids remind me of my son. Thank you for the printable, it’s lovely! Could you repost the babushka doll file? I keep getting an error message saying “drawing error occurred” and then it won’t pull up the whole file — and I REALLY LOVE it!! dang! not sure what’s going on! 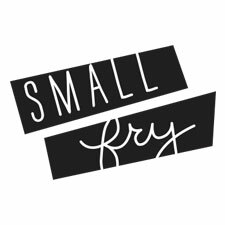 e-mail us hello@smallfryblog.com and i’ll send it to you that way! Seriously wow, cannot thank you enough for sharing this lovely download AND It’s shop origin–Gorgeous!!! Love it! and would love to have it.. but it won’t let me download either?! “You are loved”, so like that phrase. Been saying that to my baby since he was born. I don’t know, I just want to tell him over and over again, and will continue doing until my last breath. I’m so inlove with your garland decoration. Maybe I’ll try that. Love the printable! Where is that lumberjack hat from? My son’s room is lumberjack themed and I would love to get it for him. Bummed that this is no longer available at the link listed. Super cute! Can you please send me the Matrushka doll printable? The link appears to be broken. 🙁 Thank you! Love your blog!